The police have forwarded a case of money laundering against former President Yameen Abdul Gayyom and his lawyer, former Legal Affairs Minister of the President's Office, Azima Shakoor to the Prosecutor General's Office. In the recent months, both President Yameen and Azima Shakoor were summoned to the police station multiple times for questioning over graft allegations. Attorney General's Office earlier revealed that they have obtained evidence that former President Yameen Abdul Gayyoom and jailed former Vice President, Ahmed Adeeb Abdul Ghafoor were involved in a money-laundering scheme. They revealed that main ruling Maldivian Democratic Party (MDP) had submitted several documents that confirm suspicious transactions were carried out or planned to be carried out by Yameen, Adeeb several other senior government officials of the previous government. The documents presented by MDP were compiled after analyzing data collected from mobile phones that belonged to Adeeb, with the assistance of an international fraud investigation firm. An investigative report by the firm along with supporting documents were also submitted to the AG office by MDP. According to the report, forensic imaging was conducted on the obtained data by a data recovery and intelligence firm authorized by the Home Office of the United Kingdom, stated AG. After reviewing the documents, it is probable that those involved in the scandal can also be charged with bribery and corruption in addition to money laundering, said the AG Office. The documents have now been shared with the presidential commission on Corruption and Asset Recovery by the Attorney General's Office. The AG Office is currently conducting discussions with foreign experts in order to strategize the recovery of the assets lost from the state. 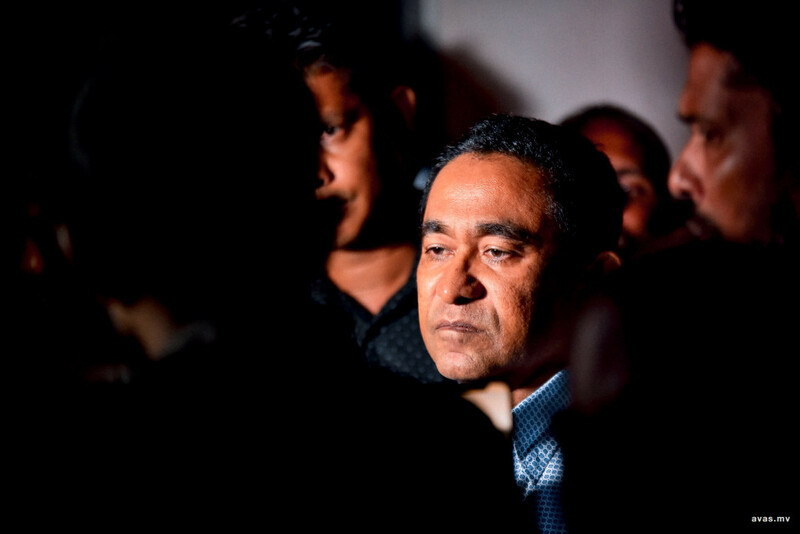 Al Jazeera cited a confidential letter sent the country's anti-money laundering body to the police saying the then president received the money in two installments to a private bank account at the Maldives Islamic Bank (MIB). The former president continues to deny the allegations insisting that he had done nothing wrong.